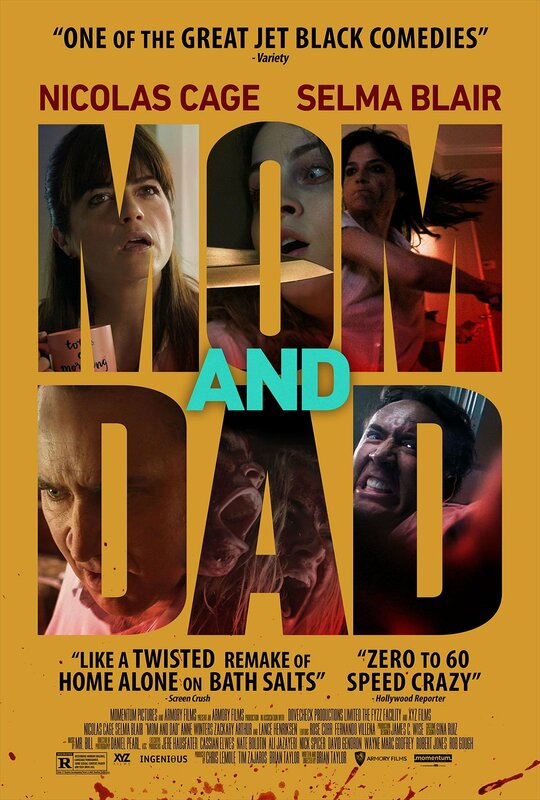 Mom and Dad is a horror-comedy movie that you would appreciate only when you are a fan of its skyscraper high concept. The movie has the same insanity level of the Crank series which was also directed by Brian Taylor. The movie might be liked for its energy and attitude that runs throughout the movie but lacks conceptual accuracy. The main cast of the movie being Selma Blair and Nicholas Cage were brilliant with their roles and left the audience eager for more. Nicholas Cage plays as a blood hungry dad who wants to kill. The daughter in the family played by Anne Winters is unhappy with her parents. The son Zackery Arthur is a kid who leaves toys everywhere. The movie starts off with parents in suburban communities trying to murder their children for no reason at all. Carly Ryan does not communicate with her parents Kendall and Blent as she is going through a difficult stage in her life. Carly takes money from her mother’s wallet to get drugs for her friend. Her boyfriend Damon (played by Robert T. Cunningham) is hated by her father. Carly and Damon head to her house whenever murderous parents show up at school to save her brother Josh. Sadly Damon is blown unconscious and, Carly and Josh end up trapped in the basement. However, their parents come up with many homicidal plans to kill them. Overall the movie is not for audience who don’t have a high level of tolerance for gore, blood and violence. We can be optimistic that Brian Taylor can give the audience something even more interesting and better concept in the future.